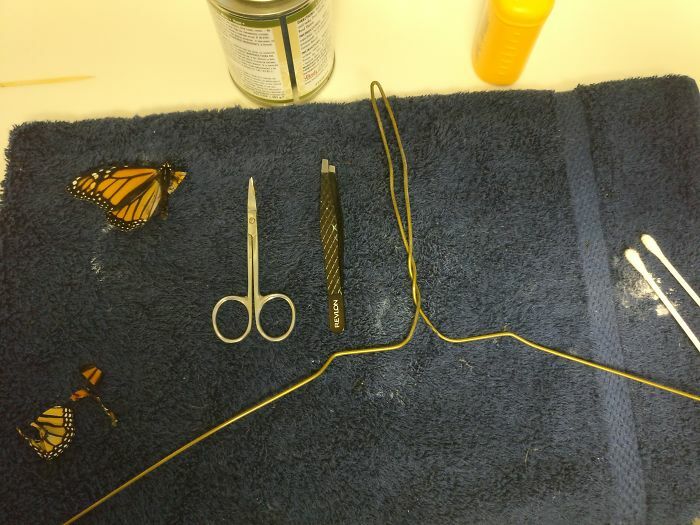 Using the left wing of a female monarch butterfly that had died of natural causes, as well as household supplies like a a towel, a wire hanger, contact cement, a toothpick, a cotton swab, scissors, tweezers and some talc powder, the amateur butterfly breeder set out to fix the delicate wing of the butterfly. 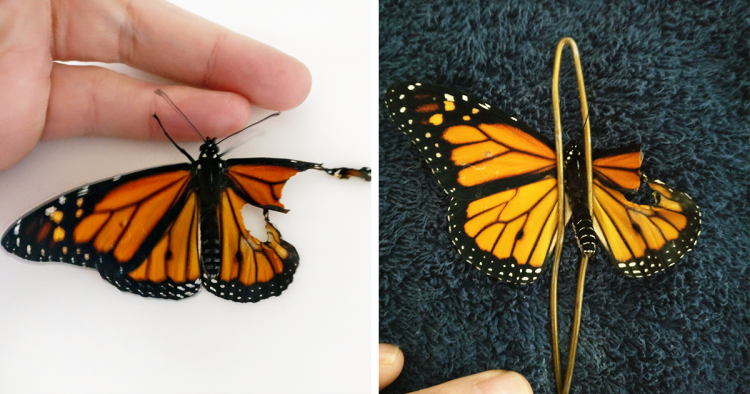 First, she fixed the tiny insect in place with a ribbon made from the wire hanger, and then proceeded to cutting off the deformed parts of its wing, a painless process, since butterfly wings don’t have nerve endings. She compared the process to “cutting hair or trimming fingernails”. The dedicated butterfly caretaker then used glue to attach the wing of the dead female butterfly. 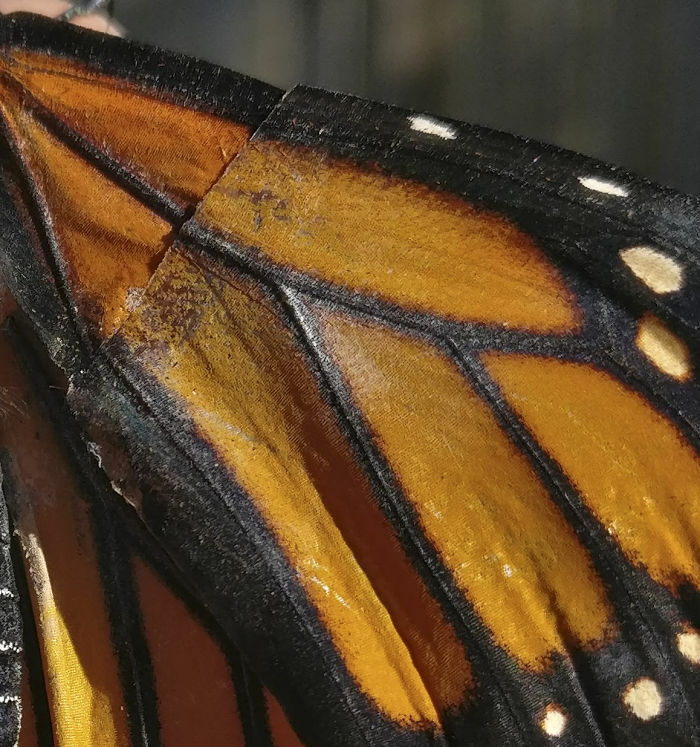 While the black lines didn’t match perfectly, and the wing “implant” lacked the characteristic black dot of male monarchs, the repaired winged looked a lot better than before. All that was left was to see if the little butterfly could take flight. But instead of testing the wing right after “surgery”, Romy decided to give the butterfly a chance to recover its strength after the reconstructive procedure, so she let it rest for a night and fed it lots of home-made nectar. 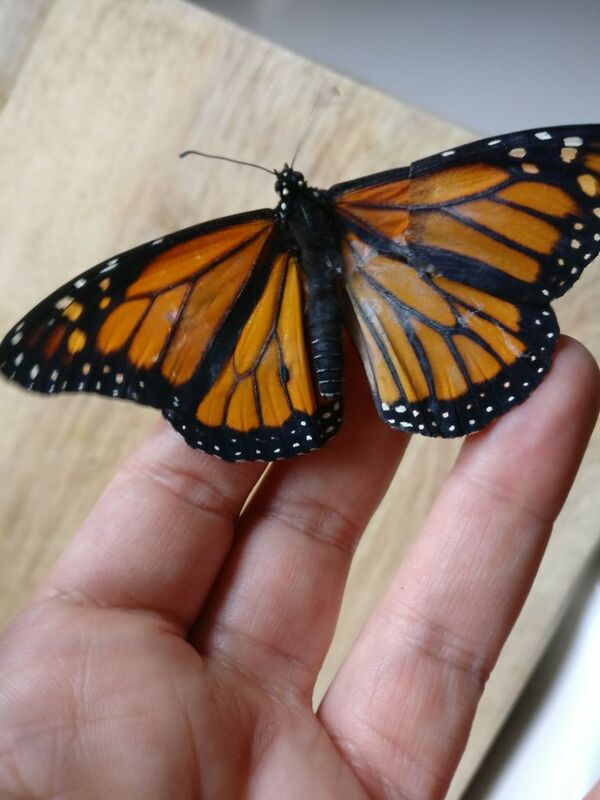 The next day, she took it out to her backyard and released it. 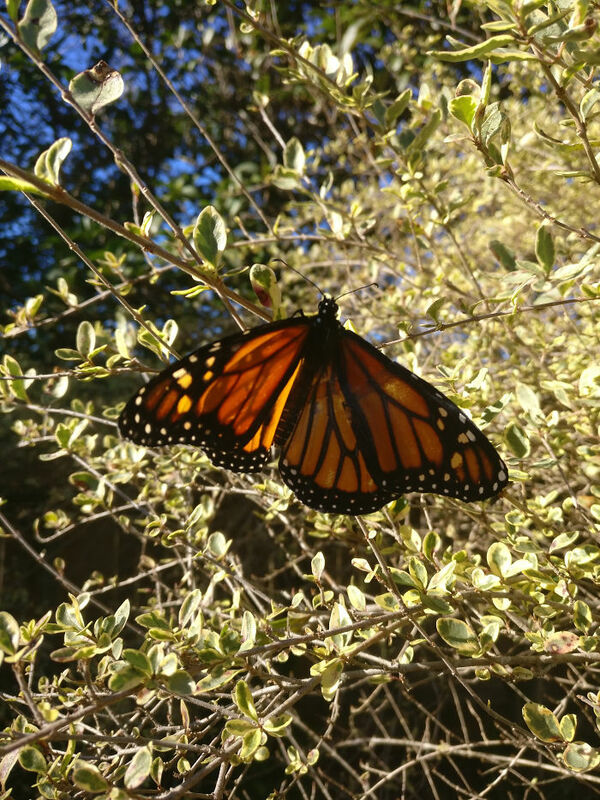 The butterfly took off and after a quick lap around the yard and a quick rest on a bush – probably to calm his nerves – the little guy flew away. Some people commented that the replacement wing wasn’t going to last very long, and who knows, they might be right, but at least that little butterfly got to fly instead of spending its short life walking, and that means something. Good job, Romy!